This week, as we discuss seeking God first, we can’t overlook the power of prayer. 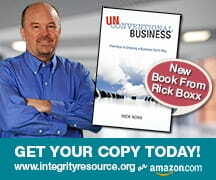 In my new book, Unconventional Business, I shared that my daughter, Megan, once interviewed for a position in a major hospital chain. Prayer is powerful and appropriate for workplaces who truly desire to seek God first.